Personalized Greeting Cards Only $0.99! You are here: Home / Great Deals / Personalized Greeting Cards Only $0.99! Need a birthday, thank you, or “just because” card? Well, through Labor Day, you can snag a Personalized Greeting Card for only $0.99! 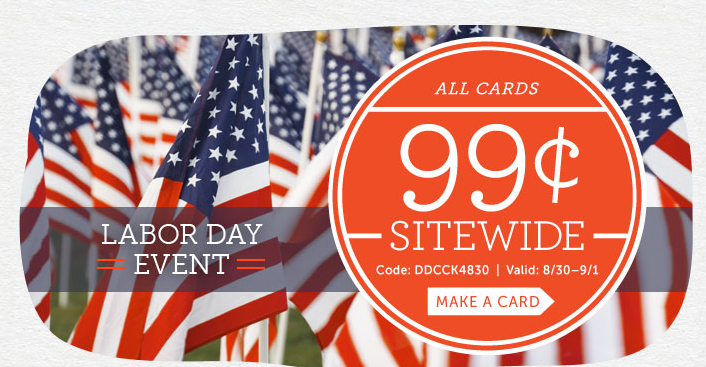 Once you’ve created your card, use code DDCCK4830 at checkout! Valid through 9/1/14 at 11:59PM EST. And don’t forget, you can also get a FREE personalized greeting card here!